Day 2 of my Nuzlocke Log! New around here? Here’s Day 1. In today’s adventure, I make some new friends, I suffer my first loss, and I get into a couple of important battles! Read on and enjoy! Heimlich, my Caterpie, was more frail than I thought. This morning, as I was trying to train it to get stronger, a Pidgey came up and ate it in two big bites . I guess I would feel worse if I had spent more time with Heimlich. Or if I liked bugs. Honestly, Heimlich kinda creeped me out anyway. Before I could mourn for too long, I found a cooler looking bug anyway. I walked into Viridian Forest and noticed a small thing poking it’s head out of the grass. It had needles on it’s head and tail! Apparently it’s called a Weedle. It’s a really calm Pokemon. As soon as I picked it up, it fell asleep in my arms. I guess it’s pretty Lax. I’m calling it Pointy. As I was training up all my Pokemon (side-note: Gidget is really strong and is super helpful! Lewis, on the other hand, keeps missing his attacks. I have got to teach him some proper hand-eye coordination), some random guy saw me and decided to battle me. Rick was his name and he was a Bug Catcher! I was super excited for my first real battle with another Trainer! The battle was pretty easy. I think Rick knew I was new to this, so he let me win. He even gave me some money for winning! Curiosity got the better of me and I went back toward Route 22 to explore it a bit more before going through more of Viridian Forest. As I was walking along, I ran into NAPPY. He challenged me to another battle, trying to berate me and telling me I’d never get into the Pokemon league. I told him “Bring it!” And he definitely brought it. It was a tough battle and his Pidgey nearly killed Lewis. Luckily, Ratigan is awesome. Ratigan helped me take down his Pidgey AND his Charmander. I had to use medicine at one point, ’cause Ratty looked like he was about to fall over. Lucky for me, Ratty took it like a champ! NAPPY tried to say that I just got lucky, but I know better. After a battle with another bug catcher in the forest, I had to rush back to the Pokemon Center to heal up Ratigan and Gidget. They had both been poisoned by the guy’s Weedle. I had to keep using a lot of medicine so they wouldn’t succumb to the poison. Luckily, I saved them with a single potion to spare. I then had to spend most of my remaining money on more medicine and antidotes. Something cool happened while training in Viridian Forest! Pointy started glowing until she changed shape completely! She’s evolved into a Kakuna! I was so excited! Once I left the forest, I entered Pewter City! I looked into the Pokemon Gym there. I was too nervous to start any battles, though. I heard Brock is supposed to be super tough with his Rock Type Pokemon. So, I left and decided to go back to the forest to train up my Pokemon some more. After that, Pointy got all glowy again and turned into a giant flying thing with daggers for hands! Pointy is even pointier than before! She’s a Beedrill now! I should rest up. Tomorrow, I want to train a bit before heading into the Pewter City Gym. I hope I do well. I can’t wait to get my very first badge! 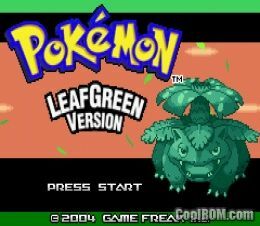 This entry was posted in Nuzlocke, Pokemon, Video Games and tagged LeafGreen Nuzlocke, Nuzlocke, Pokemon, Pokemon LeafGreen, Pokemon Nuzlocke by richard0211. Bookmark the permalink.